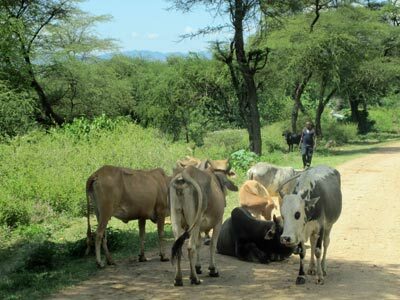 I felt a little like John the Baptist on this last journey to the Kerio Valley…Maybe a mix between John the Baptist and Nicole Kidman driving a herd of cattle across the Australian outback! 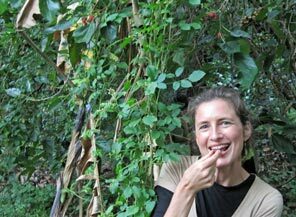 Instead of locusts, I ate cactus, but the wild honey was truly wild; full of bits of chewy honeycomb and dead bees. I even tasted a truly rare honey that comes from a bee that lives in the ground. Thinner than regular honey and with a pungent lemony taste, this special honey comes in very small batches and is used for medicine. I have so much more to talk about than honey, I don’t even know where to start. Last week was a pivotal week for me. 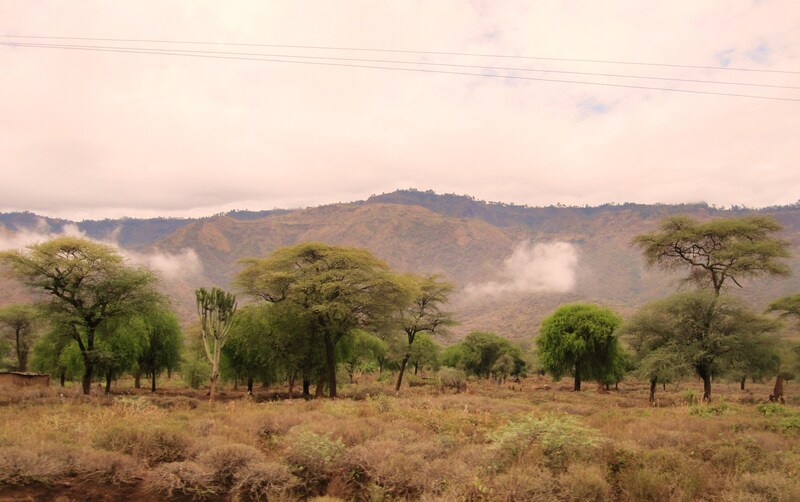 I fell in love with a new part of the Kerio Valley and cannot wait to return to the desert rocks and trees and most of all the precious people who manage to survive in the dry land. 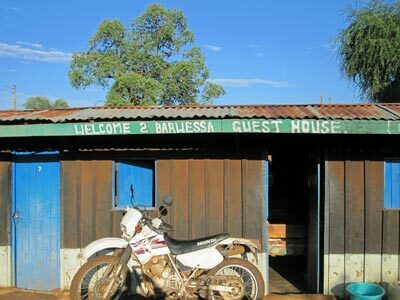 Barwessa has a bit of the feeling of an old west or outback town on the edge of rough-hewn civilization. The main street is red dirt and rocks, and it was muddy when we arrived, due to the long awaited rains. I could have almost been on a reservation somewhere in the American Southwest. 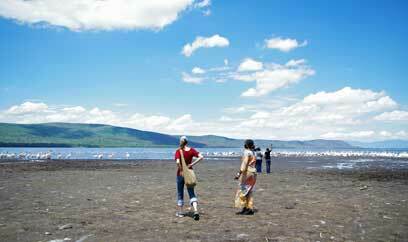 It is an area that has been largely overlooked by the Kenyan government, NGOs and missionaries. 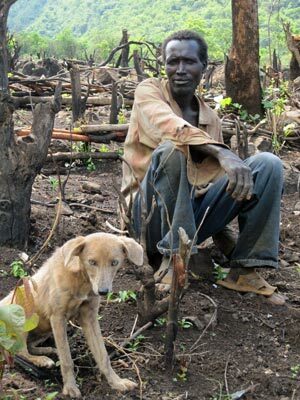 The people are very, very poor, and in times of drought, they starve—sometimes to death. We stayed at the best guesthouse in town; clean and tidy and closed to drunkards. Each room was constructed of wooden boards with glints of light that gleamed through the cracks at night, a cement floor and a tin roof. The mattresses were foam pads which rested on home-made wooden bedframes. There were no pillows. 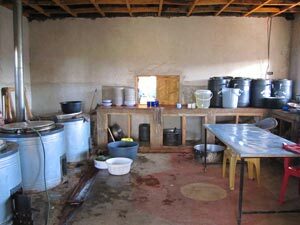 There were several “choos” and one room to bathe in. To take a “shower,” you simply carried a jug of warm water and a plastic basin into a room that was constructed just like the bedrooms; hanging your clothing and towel on a wire which was strung between two nails. Wesley and Apollos, our Korean friends, had been in the valley for some time, but at time we arrived, Wesley was there alone. (Apollos had gotten ill. After recovering in Eldoret, he was down in Mombasa). Wesley already knew many people in the town and had been leading bible studies everywhere. 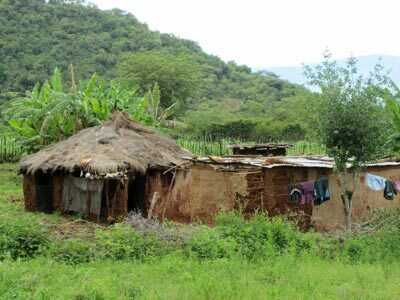 Most of the people consider themselves to be Christian, but there is rampant alcoholism, prostitution and AIDS in this town. 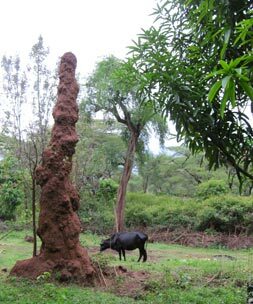 In fact, we were surprised to discover that Barwessa has one of the largest HIV populations in the northern region of Kenya. Survival is difficult and life is cheap. 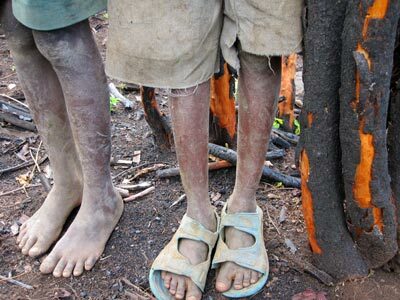 I was horrified to discover that it is not uncommon for the very old to be locked inside a hut with a few days worth of food and water and left there to die–by their own children. I suppose that is what happens when there is just not enough food to go around and hope is thin. Outsiders are very rare in this region. Whenever I walked down main street, people would huddle together and stare at me. I would smile and wave and greet them in Kalingen, which always made them laugh. Though shy at first, everyone was very friendly. Kids would follow me around, but if I turned to touch them they would squeal in fright and run away laughing hysterically. A few minutes later, they would be back. Some of the braver ones would come right up and shake my hand and practice a little English. Despite the challenges and toughness of the land, I loved it there. I was blessed to be visiting in the time of the evening rains, so that every morning we awoke to a fresh and fragrant desert. 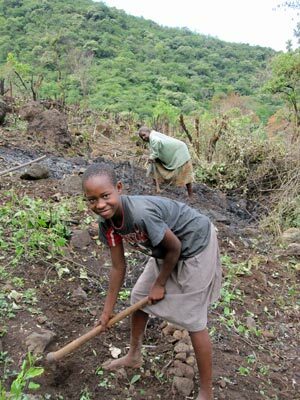 Everyone was busy planting maize and millet in their “shambas” (gardens). If this was the region’s “cool” and rainy season, I can only imagine what it would be like in the middle of the hot and dry season (December/January). Because of the rain, there were fresh mushrooms popping up everywhere, some of which were delicious and according to Wesley, have anti-cancer properties. 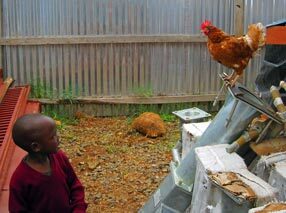 We ate them every day, along with stewed goat or chicken and ugali. 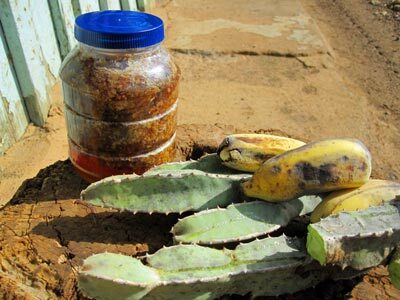 We also ate cactus and bananas. Breakfast was chai, enriched with local herb that gave it a delicious lemongrass flavor, and chapattis with wild honey. I also got to finally try “musik;” (“moo-SEEK”) a thin, blueish-gray sour yogurt drink that is fermented inside a gourd. In the grocery stores of civilization, one can buy vanilla or fruit flavored yogurt. 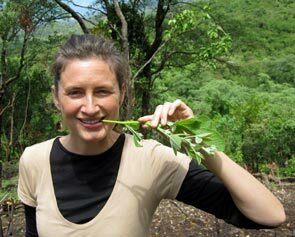 In the Kenyan outback, yogurt comes in one flavor—“smoke.” I suppose the flavor comes from the bits of ash that are added to it, thus giving it the grayish tone. It takes a bit of getting used to, but is not bad at all. I had read a bit about how healthy it is and was eager to try it; so I drank it as often as I could. All of the cactus and mushrooms and musik have worked well in my body and I feel GREAT! 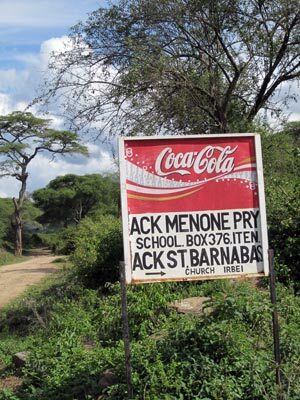 On my first full day in Barwessa, we hiked several miles out to a primary school in a little town called Senebo. We could almost have been hiking through the Sonoran desert. 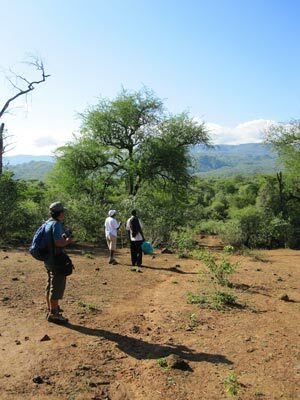 I was so glad that several local men were walking with us, explaining the traditional uses of every plant that we passed along the way. There is a variety of aloe vera growing in profusion; a sort of tougher, burlier version of the plant with stronger spikes, less gel and a darker juice. I slurped some out of my hand. A few drops was enough to leave a bitter flavor on my tongue for hours, but not unpleasant. 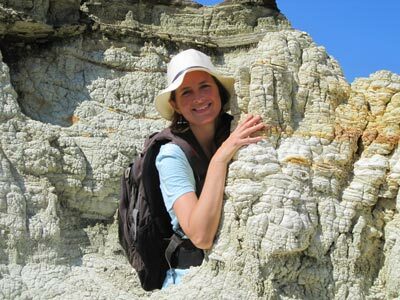 Along the way, we passed men working in a stone quarry, and visited an area full of fossils. It was a little like the painted desert, with all the same colors of the Bright Angel Shale; the rock formation surrounding my childhood home in the Grand Canyon. All I could think about was how much my family would love it out here. 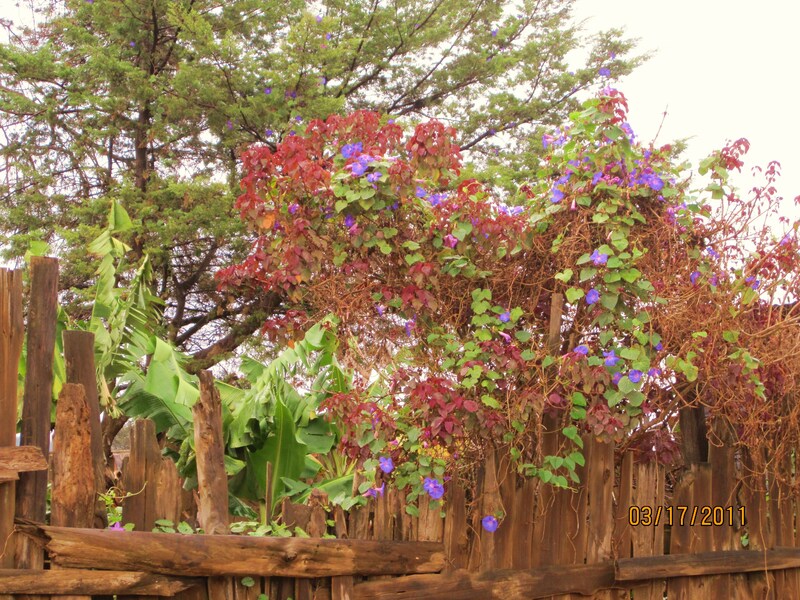 With all the native medicinal plants, maybe it could be the place for the healing center we have dreamed of opening. We passed herds of goats with tinkling bells around their necks. We also met a young goatherd who had crafted his own flute out of some kind of reed and played lilting melodies with it–a beautiful and haunting sound in the midst of the goats, the rocks and the burning sun. When we arrived at the school, I was surprised that it was enclosed with a big gate that looked strangely out of place in the environment. 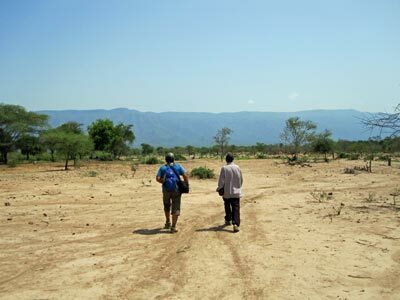 Senebo is one of the driest places in the Barwessa area; and Wesley was looking for a place where we could find water and dig a well for them. 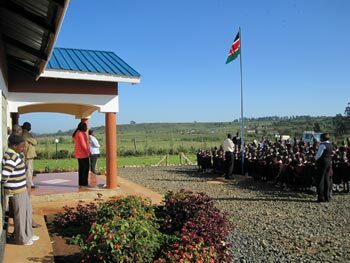 The school was expecting us, and so I led the kids in a short time of singing and ministry. I decided to teach about David, knowing that they would be able to relate to a young boy who tended sheep out in a desert similar to theirs—how he slept under the stars and wrote songs and learned to know his God…How his lonliness drove him to the heart of God and how it made him strong. How God sent a lion and bear, just so that David would learn to overcome difficulties and find courage in God, and how this prepared him to kill Goliath. How trials never mean that God has forsaken us, but that He is giving us opportunity to grow and become strong. 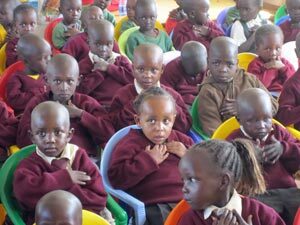 The kids all listened intently. I decided to act out the story of David and Goliath with them, the way that I did at EERC. 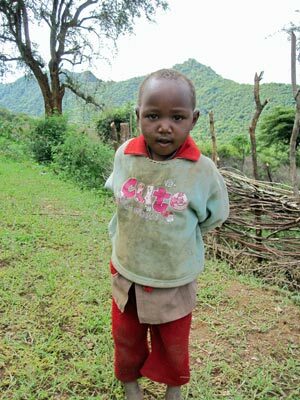 I asked for a volunteer to be David–and up came a little boy who looked like a midget, with very short legs and obviously stunted growth. I was so proud of his courage! He took the “sling” and swung it around towards Goliath (me) and with great drama I fell all the way down to the dirt–dead! The kids whooped and cheered. It was awesome. 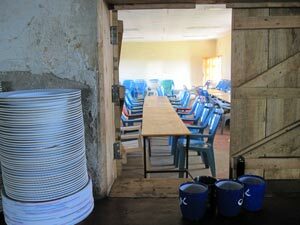 Afterwards, we drank the delicious “lemongrass” chai, and I visited some of the classrooms and chatted with the teachers. “Mercy, you should have been a man,” said Wesley. Later, he told me that he would call me “Brother Mercy.” Wesley is a former member of the special forces of the Korean army and he regularly trains for experiences like being in Barwessa. After Apollos left, he was not expecting that God would send a woman to help out! He told me later that he expected me to come for a day or two and then leave. He was very surprised at how well I took to the food, the hiking–all of it. All along, a phrase kept going through my head: “You were built for this!” It was what my friend John LoCurto had told me right before I left, when talking about how some people just have an anointing to pray for healing. When they see someone sick, something just rises up inside them that wants to run in there and drive that illness out of the body in the name and authority of Jesus. They were “built for it,” he said. They were built to confront; they were built for battle, they were built to bring change. Like John G. Lake, they thrive on that kind of challenge. While hiking through that desert, I could feel something in me begin to come alive and thrive. I was built for dirt roads and remote places, I was built to share the word of God in places that others rarely visit—the outback is where I belong! I was built for it! Later that day, we went to Barwessa Secondary School to lead a Bible study that Wesley had started with some of the students who wanted to learn more. It was divided into two groups of about 10 kids each; one was led by Wesley and the other by whoever happened to be there to lead it (Apollos, Abraham, or myself). The students were sharp and we had a great time with them. 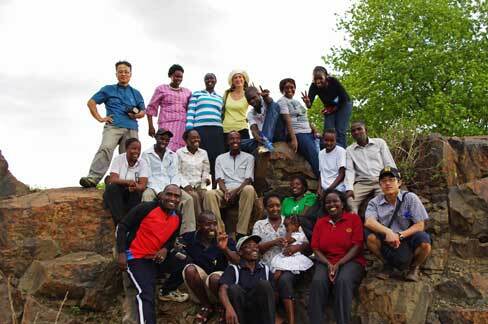 I returned there a few days later to continue the study with them and I really enjoyed it. 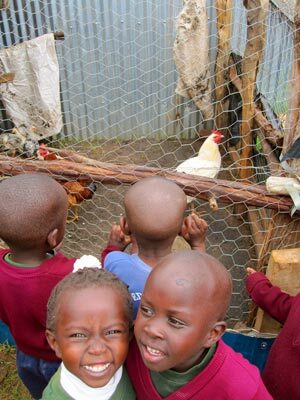 The next morning, my original plan had been to return to Eldoret with Abraham so I could get back in time to go on a special field trip with the EERC kids, but I knew I had to change that plan. I belonged in Barwessa and needed to stay longer. 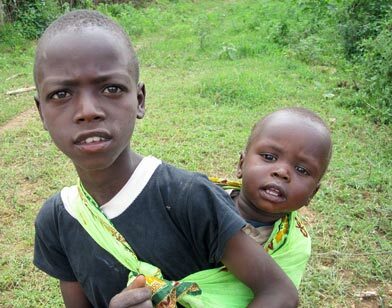 It was decided that Abraham would take all my heavy stuff back in the car with him (ie guitar) and I would remain with a small backpack of stuff to last me a few more days, returning to Eldoret with Wesley on the motorcycle on Sunday. 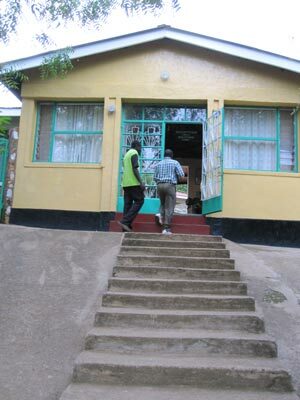 After Abraham left, we went to Barwessa Primary school to lead a meeting for the student there. Tabitha, one of the teachers and leaders of that school, invited us. Tabitha is quite a lady. She must be about 5 feet tall, but every inch of her little frame is pure strength. 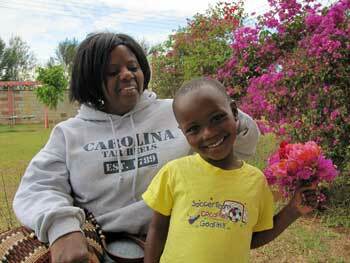 A single lady with a degree in English, she is a strong Christian and pillar in the community. 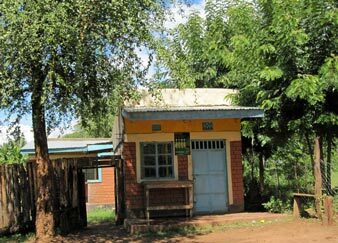 She also owns a little stationary store where she sells Kalenjin Bibles (at cost) and stationary. There are over 600 students at this school and it seemed that every one of them had gathered under a large tree to hear us. I decided to teach on David again, this time even more dramatically. When I fell to the dirt and “died” the kids just went into an uproar! What fun! Because of these school meetings, I had kids calling out my name the rest of the time that I was town. They would come and gather outside the guesthouse and wait for me to come out so they could greet me. When eating dinner, I would see them standing behind the fence, peering in at me. There was a small boarding school right next to the guesthouse. 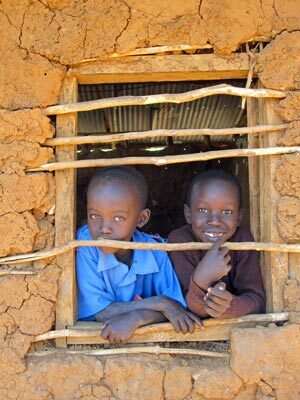 Every time I went past it, all these young boys would gather at the fence and so I would often go to talk to them. Our conversation usually went like this: “Where you from?” “USA!” “Who your president?” “What do you think? It starts with an O and ends with an A!” loud cheers… “Obama! Obama!” Then someone would yell, “Osama Bin Laden!” and I would say, “Obama got Osama!” and the boys would cheer again. One day the headmistress invited me into the school. 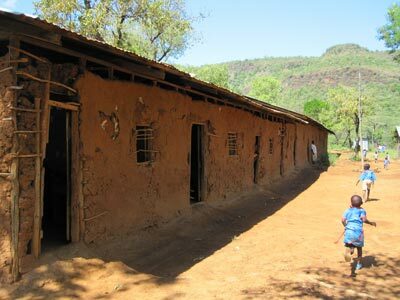 All the classrooms were constructed of tin, with girls living on one side of the compound and boys on the other. I greeted them and told them I would try to come back and give them a lesson when I return to Barwessa. (My hope is to return at LEAST one more time before leaving in September). This school was so into Obama, there was even a little boy in Baby Class named Obama. 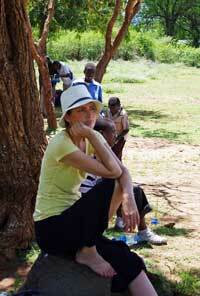 I thought it would be fun to meet Obama while in Kenya, and so the headmistress took me to him. However, when Obama saw me, he shrieked in fear and took off running down the street. I followed him for a while (I was walking that way anyway) until he ducked into his parents tailoring shop and hid behind the counter. So much for meeting Obama! We took several more excursions into the surrounding area, where people invited us to come to their homes and share with them about the Lord. 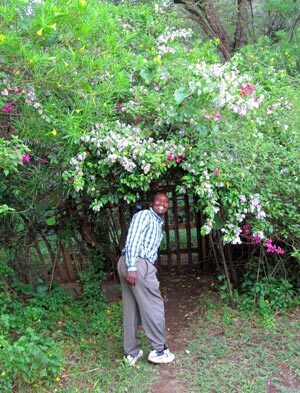 One such man is Jesina, a wonderful brother in the Lord and one of my teachers about native plants. He joined us on just about every excursion. He has two wives; one in Senebo and one in town. We went to the house of his first wife in Senebo, and people hiked from all around to attend the meeting, some coming in dripping with sweat just as thing were winding down. I was so happy to see the little midget boy who played David also came to the meeting and he was one of those who prayed to accept Jesus into his heart. So did an old grandma, and several others. It was beautiful! 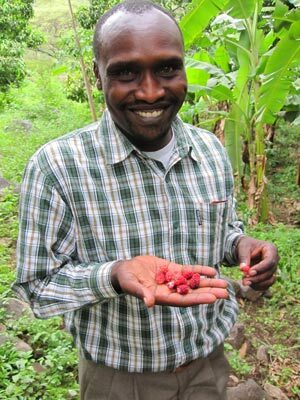 After the meeting, we drank chai and ate roasted groundnuts (peanuts) that Jesina grows in his shamba. On Friday (June 17th), we did a very long hike of about 18 miles roundtrip. Wesley and Songol, a local evangelist and interpreter, had been meeting with some people way out in the boondocks, the opposite direction from Senebo and they invited me to join them for such a journey. We were heading into elephant country, with the exotic sounding “elephant forest” at the opposite end of the valley floor. At first the scenery was green and lush. We walked along the creek, with everyone out in their shambas working hard. We stopped to visit a friend of Songol’s, a farmer named Wilson. While we were visiting with Wilson, a man came up to us and asked us if we would come and share the gospel with him and his group. We said yes, of course, and went to them. 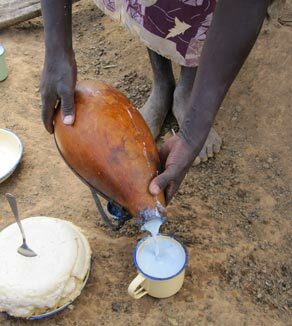 It was a bunch of men and a few women drinking homemade millet liquor (millet white lightening?) under some shady trees. It seemed a strange place to preach, but since they asked, we began to share with them about the Lord. I talked about the woman at the well; and how Jesus saw that thirst in her and told her it could only be quenched by the water of life that He gives. Everyone listened intently. More people joined the group as we spoke. By the end, about 10 of them prayed to accept the Lord and we laid hands on each one and prayed for them. Then we were back on our way. As we got farther out into the desert, the trees became sparse and the sand turned pale and everything took on a bleached look. There were so many interesting things to see and people along the way, that the miles flew by. 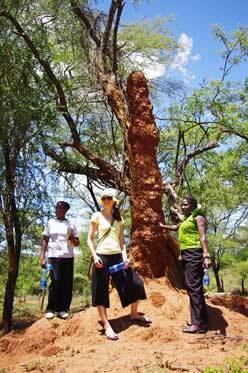 There were bee hives hanging high in the acacia trees, and occasionally a bed made of sticks way up in a tree. 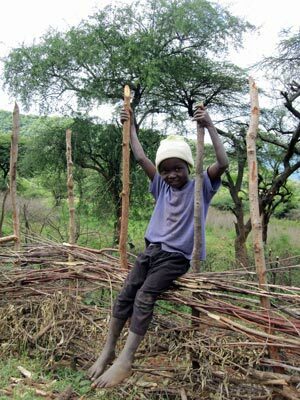 (These were built so that people would have a safe place to sleep away from elephants). “Mercy, would you sleep in that tree?” asked Wesley. “Sure, if I needed to!” I replied. “You dangerous woman!” Wesley replied. 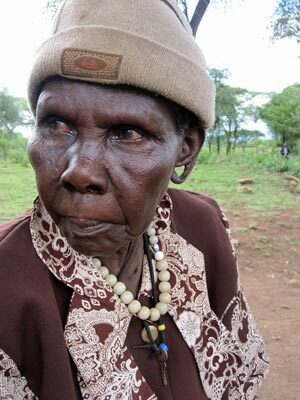 At one point, we saw a little old lady dragging herself through the dirt next to her hut. We went over to see if she was OK. She was not OK; her tibia had been fractured and she had not been able to walk for months. 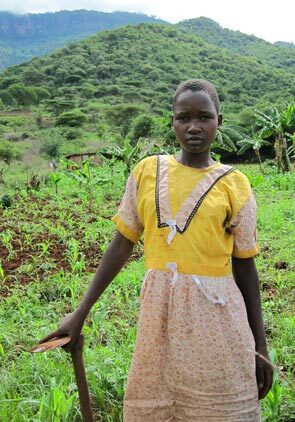 She had no way of getting to a doctor, and couldn’t afford it if she could. She was a widow who lived alone with another lady (daughter?) who also seemed rather helpless and hopeless. I sat in the shade with her and put my arms around her and prayed. It was all I could do at that moment. 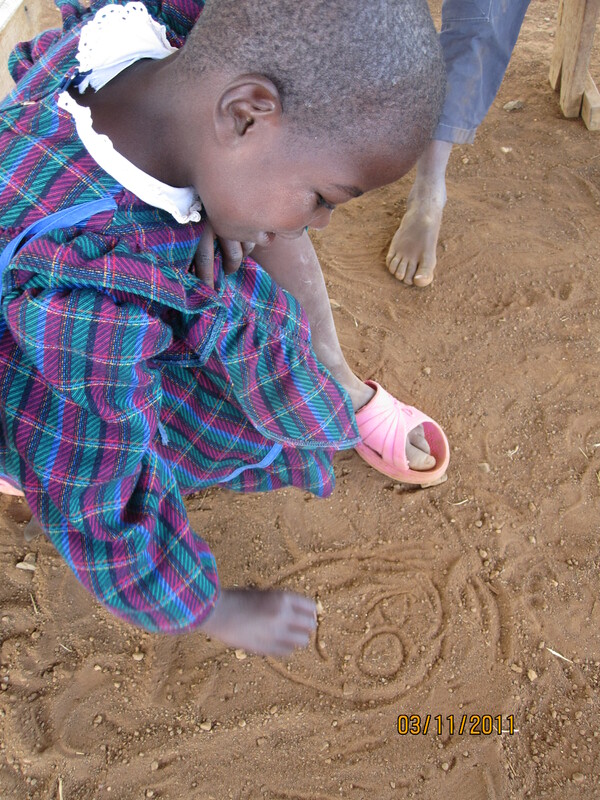 Wesley examined her leg and told her that we would help her to get to a doctor. Later, we saw a group of small children lined up under a tree. As we got closer to them, we could hear them wailing and screaming at the sight of us. They got louder and louder the closer we got, and one little boy took off running. They were truly terrified. 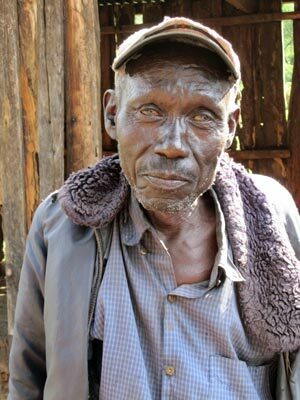 Songol approached them first and spoke to them in Kalenjin while Wesley and I came slower, with cookies in our hands. 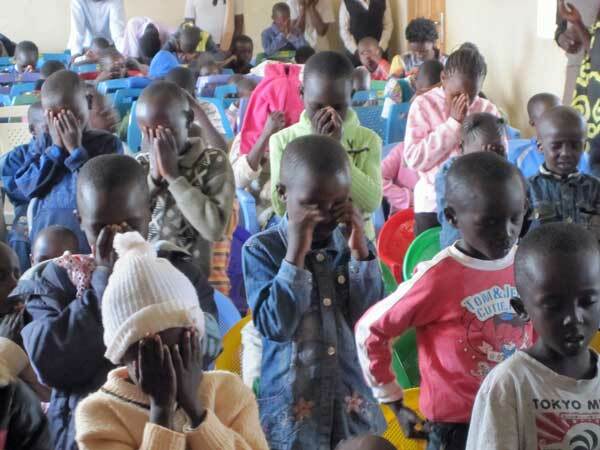 They cried and screamed until we handed them the cookie, which they ate silently with fresh tears on their cheeks. It was probably their first cookie, along with their first view of a white person. 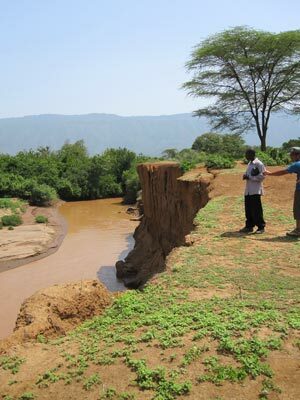 Finally we got to the Kerio River, where we were “lucky” as Wesley said, to see a crocodile swimming by. 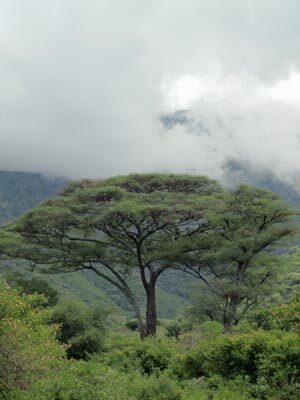 We had a small picnic under an Acacia tree. After that, we visited several homes and spoke with different ones. Along the way, we were given a rooster. The last place we stopped was Jesina’s mother’s home. 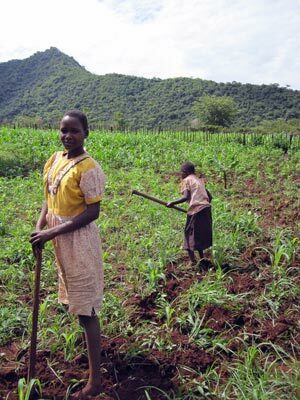 He was out there helping her plow her ground for planting, along with his second wife and their little baby, “Blessing.” We all went into the shamba and helped to plow the ground. There were a few other people there also helping, and one lone baby boy sitting on his bare bottom in the dirt. I don’t think I have ever seen such a filthy little baby. 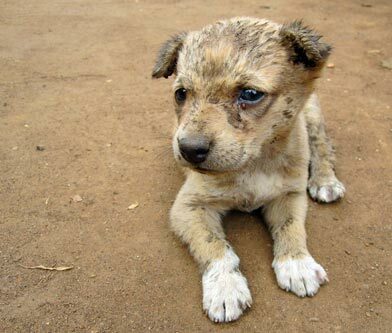 It looked like he had never once been bathed. 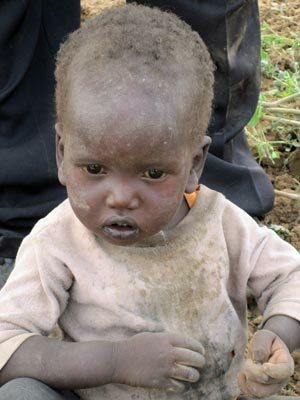 All he was wearing was a dirty shirt, and he was obviously malnourished. Unlike every other baby in the region, he showed no fear of me whatsoever. I think he may have been too weak and listless to care. His breathe came in and out with a raspy little sound in his lungs. I picked him up and held him in my lap for the longest time, just rocking him and singing him songs and praying for him and telling him how wonderful he was. He snuggled right into me, and into my heart. Somehow, I managed to put him back in the dirt and join the others, but I was not the same for the rest of the trip–and truthfully, I have not been the same since then, period. I began to ask about the baby and discovered that he had no father and his young mother was an alcoholic. His grandmother was helping to watch him, but no doubt, she had too many other worries to properly care for him. I could not stop thinking about him the next day. At first I was trying to talk myself out of caring so much, reminding myself that I have to be tougher and not so easily grieved by situations like that. And then something just reversed in me…No! He might just be one little life, but it was a little life that God had put directly in front of me and I was supposed to do something. That little boy was part of the reason I was here in this valley. So I talked to Jesina and asked him if he would be willing to check in on that baby whenever he was out at his mother’s, and make sure he was being fed. I gave Jesina money to buy him food and medicine. Jesina was happy to help, since he had also been concerned for him. My hope is that I can go back out there and visit him again and spend a little more time with him and prayerfully assess the situation up close. I would love to meet the mother and minister to her. Please remember this family in your prayers. Wesley loves to sing. 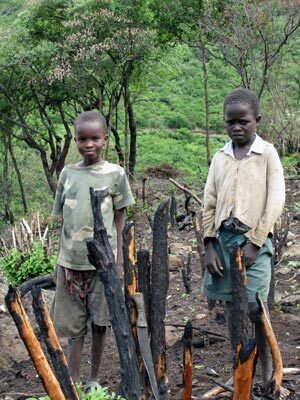 As we got back into town, we came across some young boys carrying a big pile of wood. Wesley took the wood on his shoulder for them and as he walked, he sang “Precious Lord, Take My Hand.” I don’t know if anyone else thought about the fact that a Korean man was singing a Black American spiritual in Africa, but I sure loved the beauty of that criss crossing cultural moment. 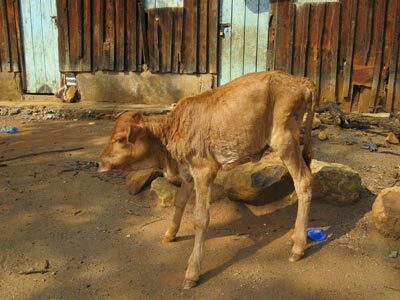 On our last morning in Barwessa, we became aware of continuous bleating of a little calf next door to the guesthouse. Sukuku, the owner of the guesthouse told me that he felt bad for that little calf, since its mother had been killed by an elephant. He took it some water to drink. I joined him to look at the calf, and saw the scrawniest, boniest, weakest little calf I’d ever laid eyes on. 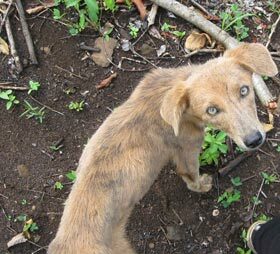 As I began to pet her, I noticed that she was infested with fleas and had open sores, with ants crawling over her. I went through the same thing with the calf that I experienced with the baby the day before. 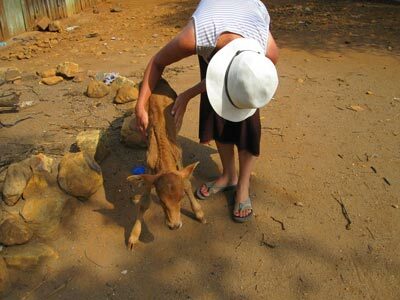 “What can you really do, Mercy–you are leaving tomorrow–just leave it alone and don’t get all emotional.” And then, just like with the baby, something suddenly rose up in me–maybe this was just one suffering calf, but it was in front of me and needed help! My help! As I looked into her beautiful big brown eyes framed with long eyelashes, I became certain about what I was to do. 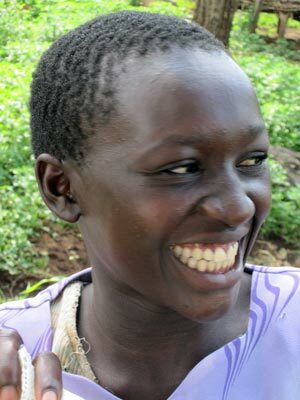 I asked Sukuku how much it would cost to get her the medical treatment she needed–not much at all, I discovered. 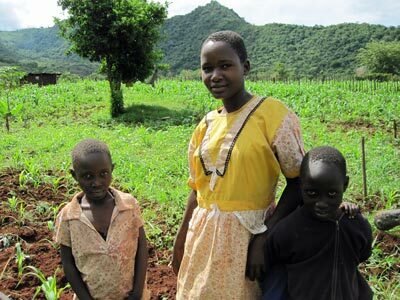 I gave Sukuku the money for medicine and to buy her milk for the next few weeks. And then I went into town to buy fresh cow milk. (They sell it by the glass, for about 15 cents a glass). I came back with a big bowl of 6 glasses of milk, which I fed to her in increments during the day. She lapped it up like and dog and then licked and chewed on my hand and arm for as long as I would let her afterwards. I found myself speaking to the calf: “It’s OK, baby. You are going to live. You will live and not die! 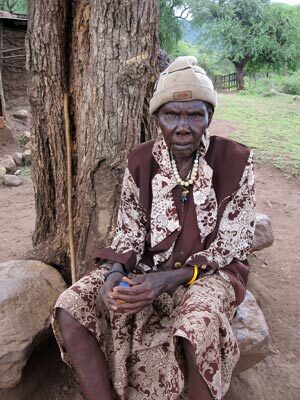 You will live and have a blessed life!” A local doctor came to look at her and he assured us that with about 2 weeks worth of milk and some medicine, she would be as good as new. Later that night Sukuku spoke with the owner of the cow and told me a beautiful story. 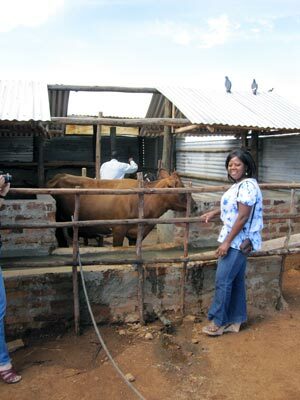 The calf was owned by a single mother who struggled to make ends meet. After losing her milk cow, it was a heavy burden for her to now have to buy milk not only for her kids but for the new calf. None of them were getting enough milk, but she was out of money and there was nothing she could do about it. 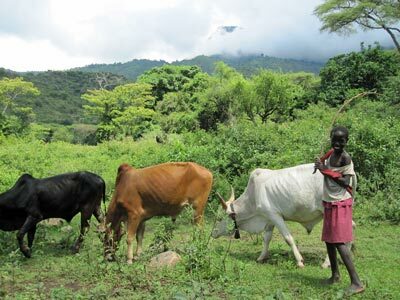 That morning, before she went to her shamba, she looked at the cow and said to it, “Calf, there is nothing more I can do for you. I put you into the hands of God! Maybe He will help you survive.” She came home fully expecting the calf to be weakly lying on the ground—instead it had wandered off, and she wondered where it had gotten the strength. 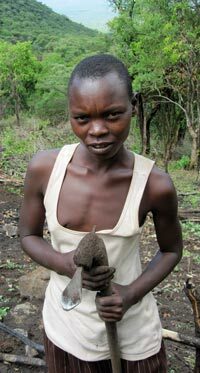 Sukuku told her that we had fed the calf, and she wept for joy. I realized that when she had put that calf into the hands of God, that God took her seriously. It was HE that moved on Sukuku’s heart, and then mine, to care for the calf! When I told the calf that she would live and not die, that really was God speaking through me to her, for in utter helplessness, she had been placed into His hands. What a good God! The next morning I met the mother and her children. 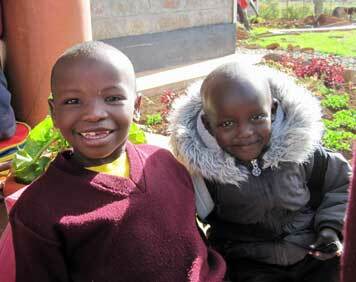 The mother was “Mama Faith” and her kids were Faith, Kevin and Vivian. The calf was named, “Phbbb, phbbb, phbbb.” (Basically, a farting noise that is used to call her….That’s the truth). I can’t wait to go back and see how Phbbb phbbbb phbbbb and the little baby boy are doing—as well as all my other new friends in the valley. Getting home on the back of Wesley’s motorcycle was a whole other experience, but this blog is already too long, so I will close for now. Yesterday was an amazing day. 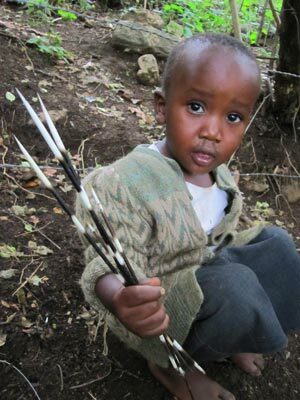 I had the opportunity to travel with David and Joseph and their friend Joel (pronounced “Joe-el”) out to the traditional family area in the Kerio Valley where Joseph and Joel grew up. They are planning to start an organic coffee farm in the jungly hills ascending from the valley; a farm that the whole community will be participating in to some extent. 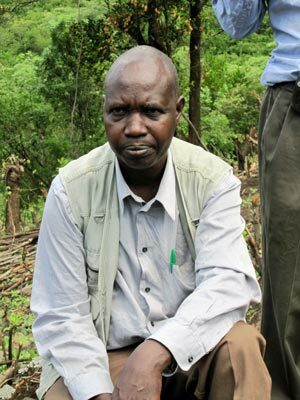 A devout and godly man, Joel had lived and studied in the United States and is a professor at Moi University. 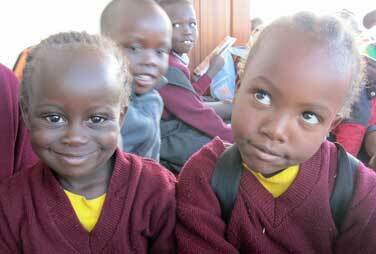 Before he went to the States, he promised God that after he received his education, he would return to Kenya to help his people. He was true to his word, even after being offered a green card and a nice job in the States. 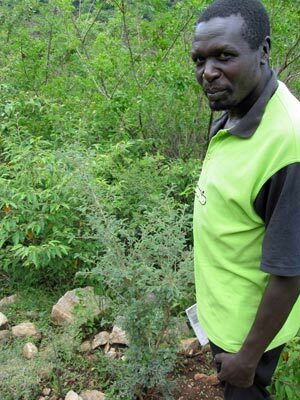 I really enjoyed getting to know this humble and interesting man who was full of information about the Kerio Valley. The whole valley really has a “life giving” feeling. The valley floor is a lush desert and as one ascends upwards, the incredibly fertile land yields just about anything you would plant in it. 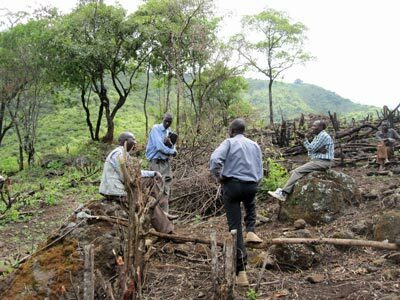 An executive from the Kenya Coffee Board recently assessed the land and the soil and said it was an exceptional area for growing coffee. 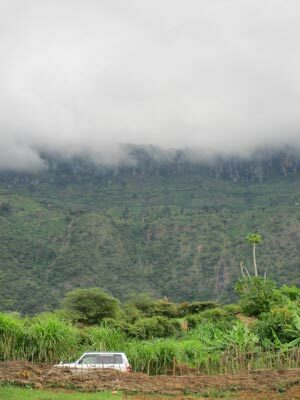 The people plant millet on the terraced hills, and there is also a wide variety of medicinal plants, as well as fruits like mangoes and bananas growing prolifically. Joel told me that this area was a place that barren women and impotent men would come to be healed; thus the name “the life giving” valley. Maybe that is part of the reason that I love it down there so much. Literally every time I go into that valley, it is like something opens up and relaxes on the inside of me. The cliffs also remind me a tiny bit of Oak Creek Canyon, near Sedona–as well as Hawaii. 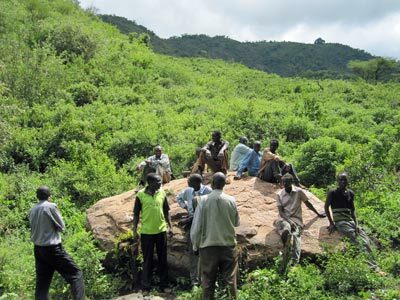 My friends explained to me that the Kerio Valley has become to most Kenyans, a place to get away from. In modern times, the beauty of the valley has been overshadowed by its poverty and lack of clean water–quite tragic really, when one considers that in addition its other natural resources, the Valley also has oil, platinum, and other precious gems that have not been mined. (God, I hope no mining company comes in there and destroys all that beauty–surely there is a way to extract natural resources without destroying everything beautiful along the way). Apparently an oil company is coming in to begin mining in another part of the valley, where David is from. Our concern is that they will not fairly share the profit with the people who live there, whose land it is. Even Libya is trying to get in on the oil. (“Oil Libya” is one of the main gas stations in Africa. 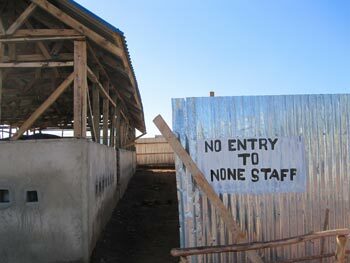 I saw it in Niger, and it is also here in Kenya). 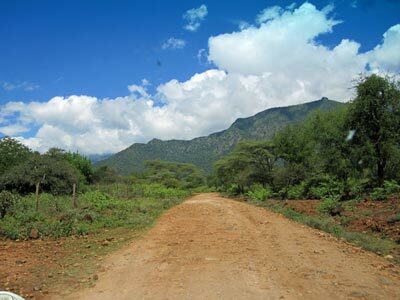 After getting down into the Valley, we took a dirt road off the highway that led us to Joseph’s childhood hometown. 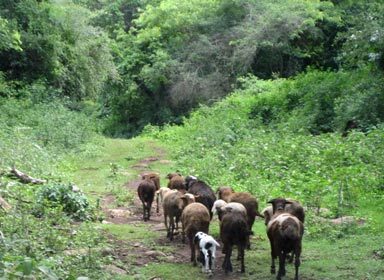 Cars are very infrequent here, and the dirt roads are more likely to be populated with sleeping cattle and prancing goats than anything with wheels. 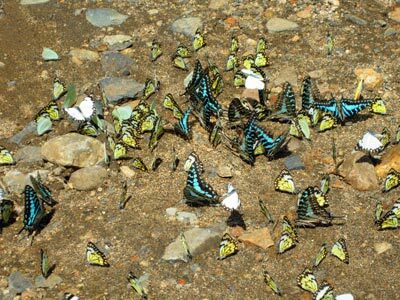 Along the way, we passed through several large swarms of butterflies, all blue, yellow and white. 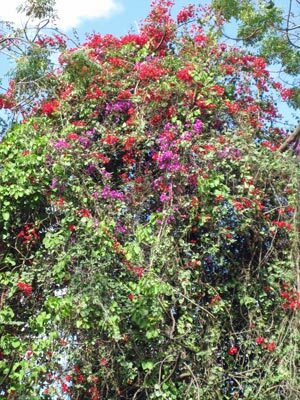 We had to stop the car several times just to get out and walk in their midst (like walking through a whisper of a gentle tornado of fluttering flower petals). We were even able to get a few pictures of them on the ground. After travelling a while, we took an even more primitive dirt road, which made the previous one seem like a highway. This new road was recently made by the community—the old fashioned way—by hand, using hoes. I have no idea how many cars have actually driven down it. 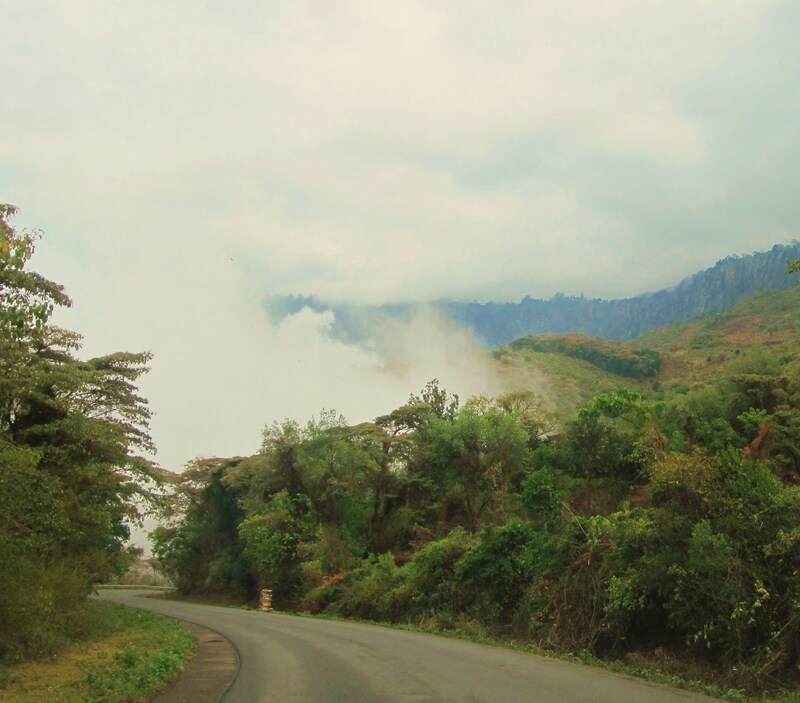 We slowly climbed the escarpment until we reached the end of the road, where the terraced farming begins; still well below the sheer cliffs above. 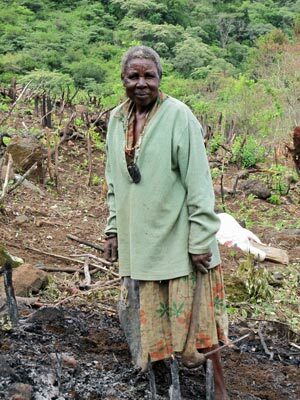 Women—ranging from grandmas to children–were planting millet, each in their traditional family plot that has been theirs for untold generations. Each plot is marked off by stone boundaries which have not been moved for over 1,000 years. The family plots were originally created by one member of the family throwing a stone behind him as far as he could throw it. 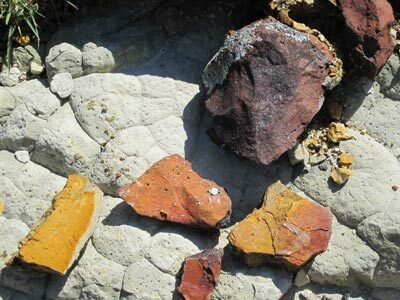 Where it landed was the first stone in the boundary line of that particular piece of property. 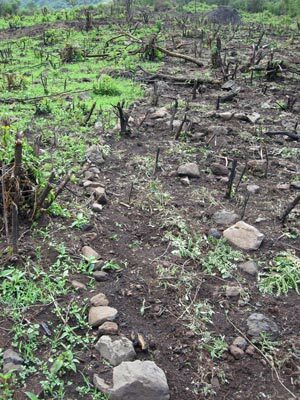 Joel found his family plot, which will be part of the coffee farm, in addition to the surrounding hills that are currently not being cultivated, according to the will and vote of the community. The whole area had been recently cleared by burning. 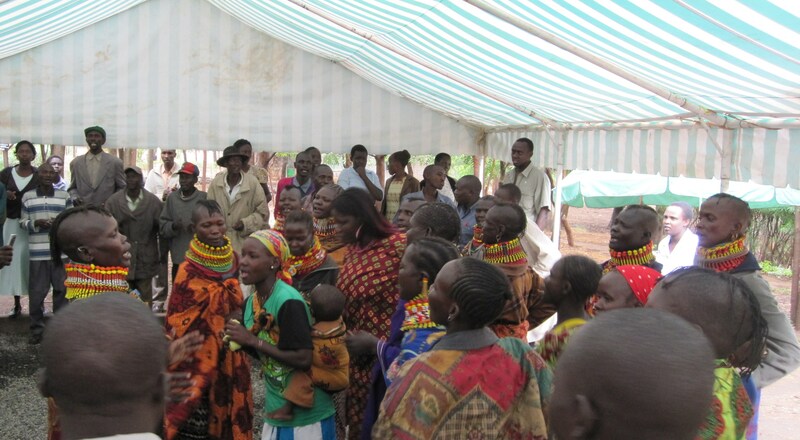 While we waited there for the village chief to meet with us, I wandered around and met some of the people. 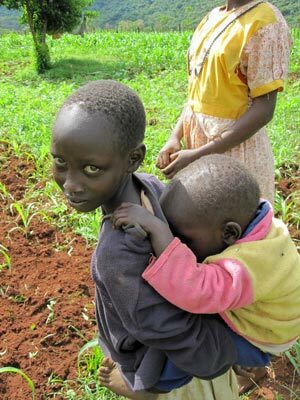 Without a doubt, I was the first white person that some of the kids had ever seen, and several times during the day, I made babies cry simply by showing up! 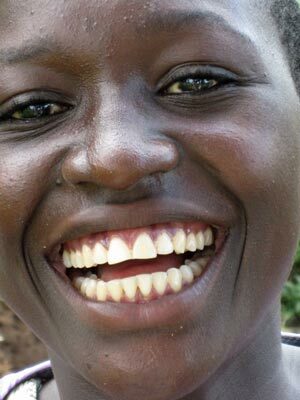 The people speak Kalenjin first, and a bit of Swahili after that. A few spoke some English. Somehow we managed to communicate a bit. After we left the terraced farms, we began to descend back into the valley. 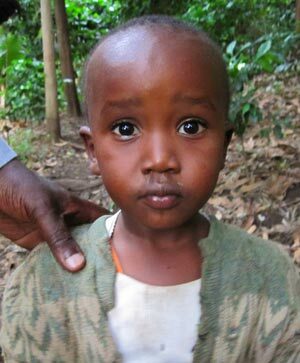 About halfway down, we stopped at a farm, where a man had agreed to use a large portion of his uncultivated land for coffee seedlings. 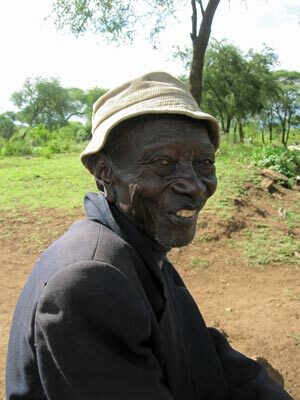 The farmer and I became great friends as I chattered in the little Swahili that I have picked up. He loved seeing pictures of him and his children on my camera. 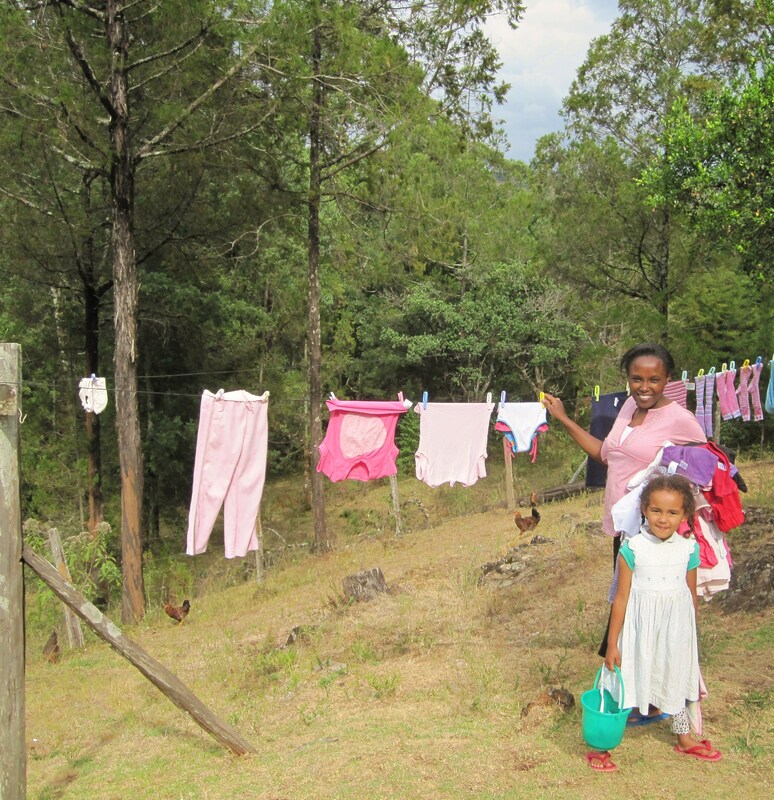 I also met a lot of children and village women up on the road above his house. Kids were running down the road making all kinds of noise. When I asked my friends what they were being so loud about, I was told that they were yelling and screaming about a white person being in their midst. Eventually they gathered around me, along with their mothers. One friendly lady named Scholar was especially talkative and obviously prophetically named since she spoke more English than anyone else there! 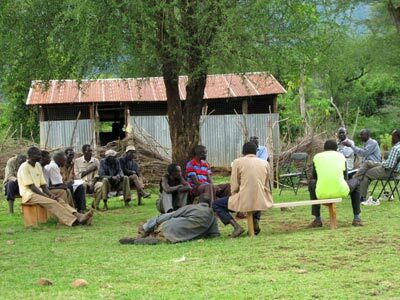 When we made it back down to the village, David, Joseph and Joel gathered with the chief and village elders under a large tree. They sat there for several hours as different ones took turns speaking and presenting their views and questions. 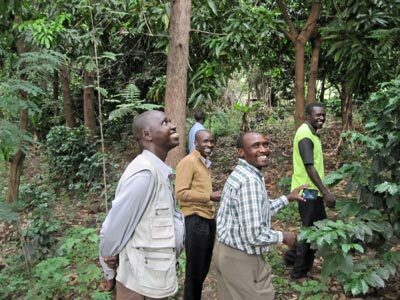 Everyone was excited about the prospects of having the coffee farm in their midst. I sat in the meeting for a while, but since I didn’t understand anything, I decided to explore around the community. I sat with this old lady under a tree for a while. She had a small plastic container tucked inside her hat. During our “conversation,” she pulled out the container, and poured some brown powder into her hand, which she then sniffed up her nose. I found out later it was tobacco. 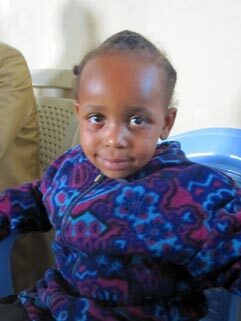 I also met a young college student named Carol who was home visiting her family from a university in Nairobi. She invited me into their little café and took me back into their yard. After feeding me a hot chapatti and introducing me to her younger siblings, she showed me the bricks that they make and sell and gave me some mangoes from their trees. I went back to the car and brought her some small Italian almond cookies that I had found at the grocery store (quite a treat–those are some of my favorite cookies). Soon, I was sharing the bag with everyone around there; young and old. When I came back to the Meeting Under The Tree, it was winding down, so I sat in on the rest of it. I was privileged to be asked share a word with the group and close it in prayer, so I spoke and prayed out of the love of God that was burning in my heart for them. After the meeting, a young lady came up to me—the only other woman who had attended the meeting, or at least part of it. I immediately had such a love for her. She shared with me that she was a single mother trying to raise her two children alone and in desperate need of a job to take care of her kids and maybe save some money to go to school. She was wondering if the coffee farm would hire her. I introduced her to my friends and they told her to check back next month. I saw a strength in her that would not be held back; a beautiful boldness in her heart. We prayed together under the tree. I hope I see her again next month…Please pray for her. Her name is Karen. After we left the village gathering, we had another appointment to keep. 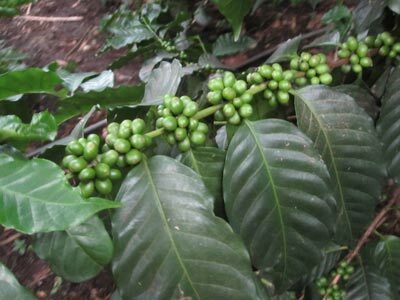 There is a local farmer who is already growing some coffee in his jungle-farm, so we went to check it out. After parking the truck, we hiked on a tiny trail through some beautiful terrain, until we came around the corner to the most magical entrance to any property that I have ever seen.Hidden under and large natural arch of overgrown pink and white and yellow flowers was a tiny gate made of sticks that you had to duck down to enter. After entering the enchanted gate, we found ourselves in a virtual jungle, all damp and shadowy with coffee plants randomly growing everywhere. 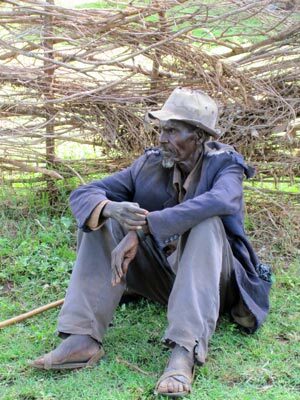 (I hope this farmer is getting good money for his organic, shade grown coffee from the fertile Kerio valley, but the looks of things kinda told me otherwise). There were all kinds of other edible plants back there, including a profusion of mulberries, which we snacked on as we walked. This farmer had a cute little son who solemnly followed us around. 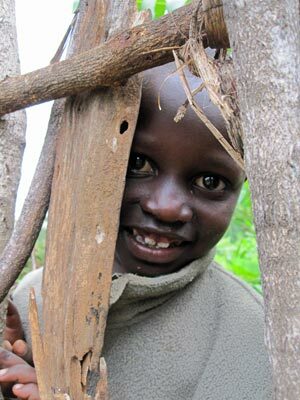 After we warmed up to each other, he began chattering in Kalenjin to me. I could tell he was wanting me to follow him, and so we left the group. He took me up a little hill, and showed me his cool treasure—a pile of huge porcupine quills. He generously gave one to me, which I am keeping for a memento. I don’t know how that little boy knew that I would like to see something like that, but I am glad he did! By the time we got back in the truck it was almost dark and we were starving. Amazingly enough, there is a nice restaurant/hotel in the area—the only one for miles. 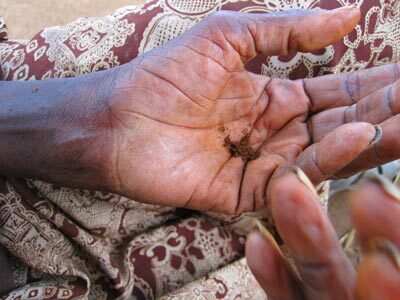 It was started by a former UN Ambassador from Kenya to Australia and Europe. 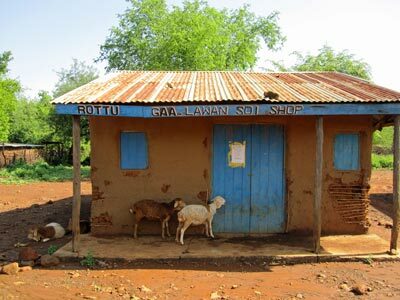 This man built a really nice place in homeland, and if I lived in that valley I would go there often to eat—it has the best “nyama choma” (roasted goat) that I have had since I have been here. Usually nyama choma is so tough I don’t know how people even chew it, but this was tender and delicious. We also ate a big plate of ugali and kachumbari. 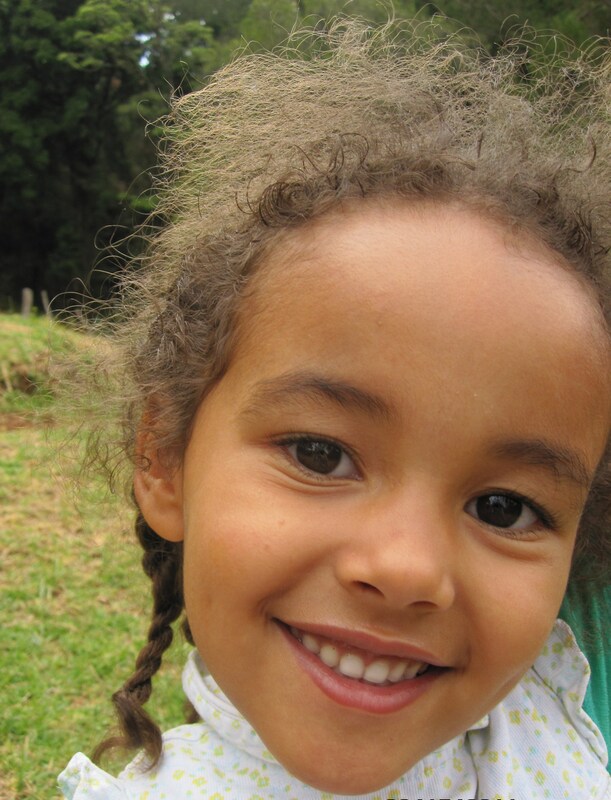 SILA is doing so many great things! 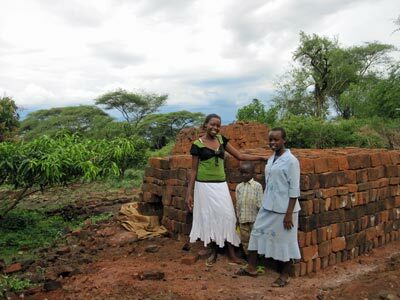 I really don’t think I have devoted enough time in this blog to properly explain what an amazing work this ministry is doing–and so I want to devote one whole blog to nuthin’ but SILA and its multifarious ministries. What is SILA? 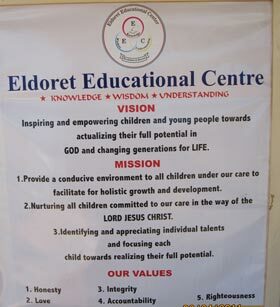 A “coat of many colors.” It is a rainbow umbrella ministry under which the school–EERC (Eldoret Educational Resource Center)—and many other programs sit. 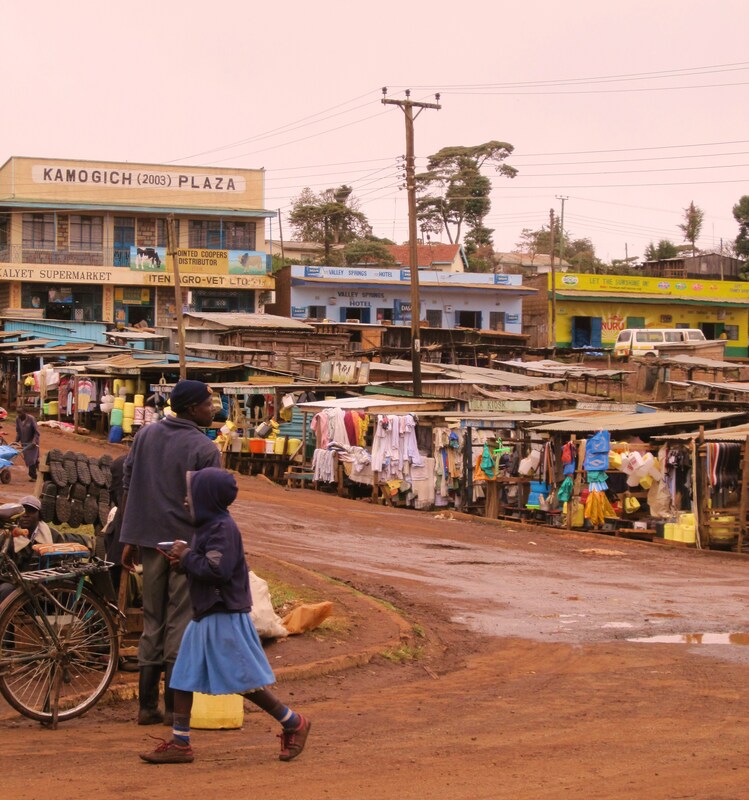 Among other things, SILA drills wells in areas where people still lack an adequate supply of clean drinking water, manages several businesses, (including a new European-style coffeeshop in the works for downtown Eldoret—YAY!! 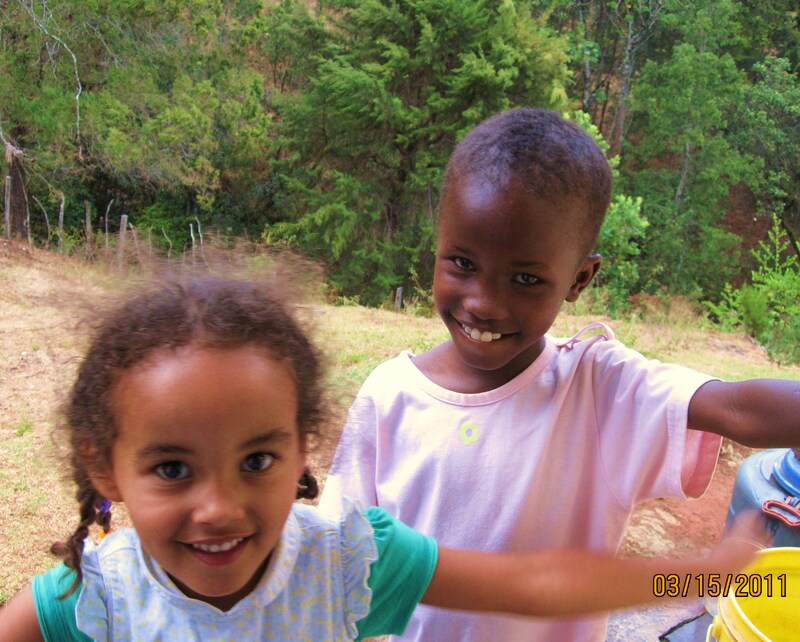 ), distributes food and clothing in disaster areas, helps oversee the Dominion Children’s Home, and is now getting ready to launch into organic coffee farming. 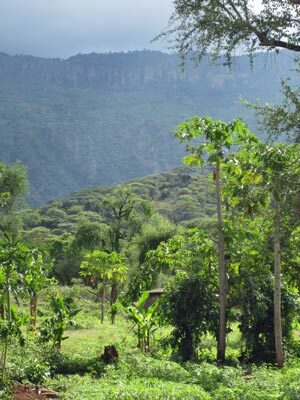 Diane will be growing some of it on the KWELI property, and another coffee farm will soon be set up in the impoverished Kerio Valley; providing new jobs for an economically-depressed community. 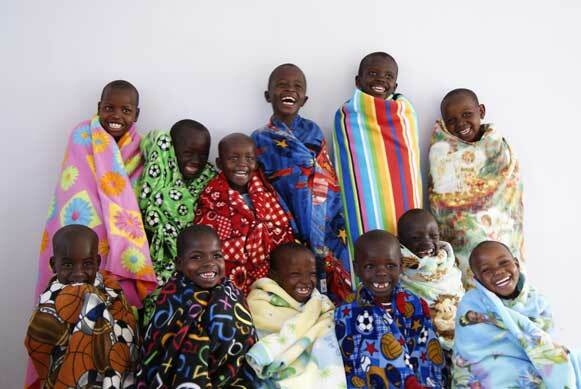 SILA also has several other businesses in Nairobi, all helping to fund this giant venture. Since I spend so much time at the school property, I wanted to give you a better overview of what it looks like and how it operates. 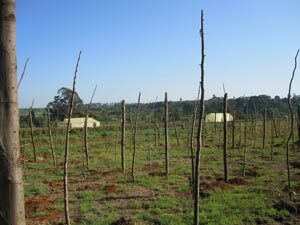 The school itself is situated in the midst of a big organic farm, providing healthy food for the children and staff and also providing a source of income. From the plants to the cows to the chickens—everything is organic. Ann Fyall with her "Dominion" cow. The ever-present birds are on the roof. 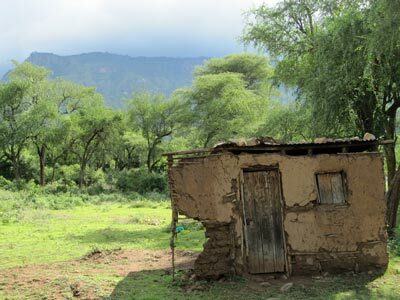 Like much of Africa, the property is “off the grid,” but there are solar panels around the property to generate enough electricity when it is needed. 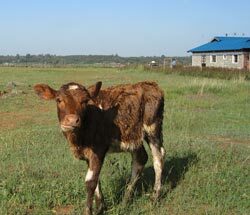 The manure from the 4 or 5 cows is recycled into fertilizer and biogas. 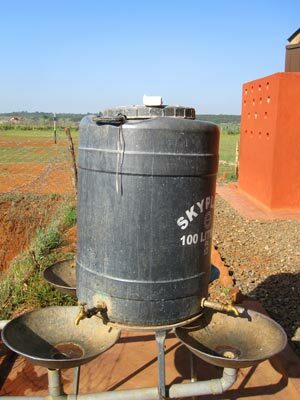 The bio gas is stored in a big “balloon” in a room all by itself and used when necessary. 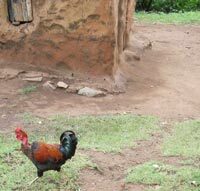 Instead of spraying “cow town” with poison to keep pests away, there are some special birds who were brought in to live around the cows and feed off of the flies, keeping everything very sanitary and pleasant. We recently made new homes for the birds to keep them safe from prowling cats. 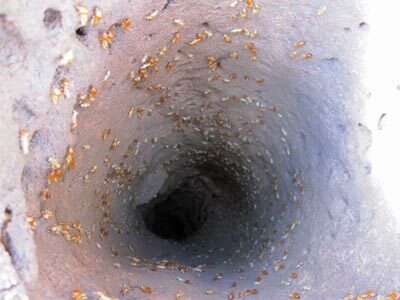 The eco-choo (pronounced “choe”) is basically a new and improved outhouse, with the human waste also recycled into fertilizer. (I didn’t know such a thing was possible until I came here). The eco-choo is a miracle of modern innovation, because it hardly stinks at all! 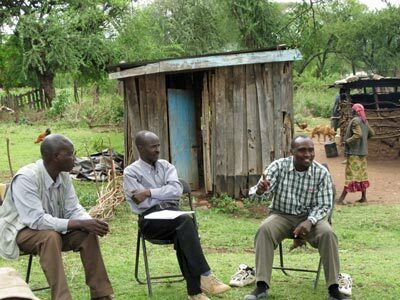 And like all true Kenyan toilets, the choo is a big hole that you squat over (men and women alike). Toilets for sitting on are a western idea and quite a luxury around here. 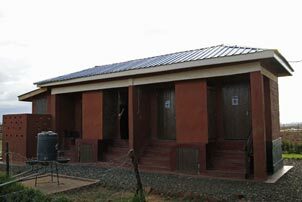 Outside of the choo is the washroom consisting of four little sinks attached to a big tank of water that is refilled every day; complete with a bar of white soap that we all share. Wandering around one section of the school property are cows, which are regularly let out of their pen to graze in the fresh grass. In addition to fertilizer and gas, they also supply fresh milk for the school, staff, Dominion Children’s home, and others. Milk is mainly used in chai (tea) which is offered several times a day (mid morning and after school) to students and teachers alike. Everyone eats two unbuttered slices of bread with their chai, both in the morning and afternoon. (I don’t mind drinking this milk, knowing that it is free of all the junk that is found in our overly-processed milk back home). 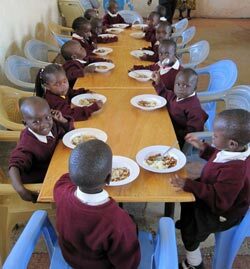 The school kitchen also provides one big meal in the middle of the day for everyone. It is usually ugali (cornmeal porridge eaten with the fingers, like masa or polenta) and some kind of vegetable like cabbage cooked with tomatoes and onions. We also often eat githeri (beans and maize), or something else with beans, maize, rice, potatoes and/or veggies. The maize is NOT the corn that we have back home. The kernels are bigger, like corn nuts, and always a bit tough and chewy. Occasionally we get goat stew. We also eat a lot of “green grams” as they are called around here—-stewed green mung beans. Cilantro is a popular seasoning. Other than that, the food is rather bland but tasty. Salt is served in a big bowl, from which everyone grabs a pinch or two. 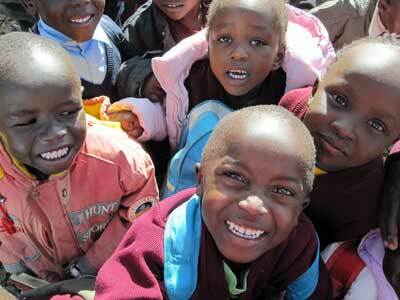 Unlike the United States, there are virtually no picky eaters amongst the Kenyan kids. They eat what is put in front of them and I doubt it ever crosses anyone’s mind to complain about the food or ask for something else. There IS nothing else, so they know it is eat up or go hungry. Everyone eats pretty much the same thing here. As far as sweets go, candy and soda are very rare and special treats. Cakes and biscuits (cookies) are not nearly as sweet as they are in the US. 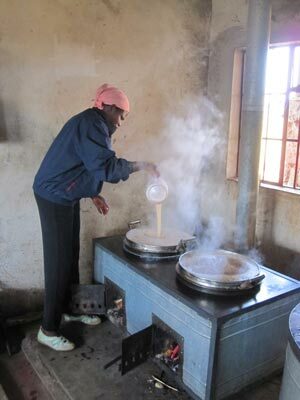 The ladies in the kitchen work all day long, making chai and the big daily meal that feeds over 200 people. The wood stoves they cook on were especially designed to be fuel efficient and use less wood. The farm also has about 1,000 chickens. (“Cluckety-Cluck Central,” I like to call it). 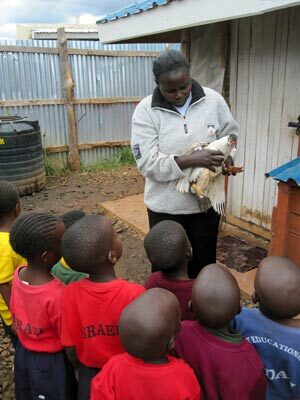 The amount of hens is soon to double, after another new big hen house is finished. The eggs are of course, organic, and sold for income as well as given away. 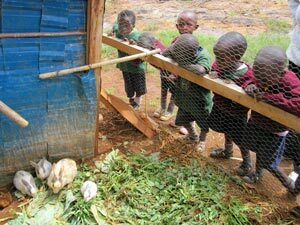 Just for fun–and for the hand’s-on education of the kids–there are also a few ducks wandering around, a rabbit house and a large desert tortoise which we found crossing the highway in the Kerio Valley. The farm grows Cabbage, Sukuma Wiki (a green leafy similar to kale), Managua (a native green that is somewhat bitter and delicious), carrots, onions and tomatoes (in the greenhouses), green beans, and other vegetables, including some from Korea. We also have a special variety of passionfruit that we bred together—one variety being sweeter and the other being more fruitful. 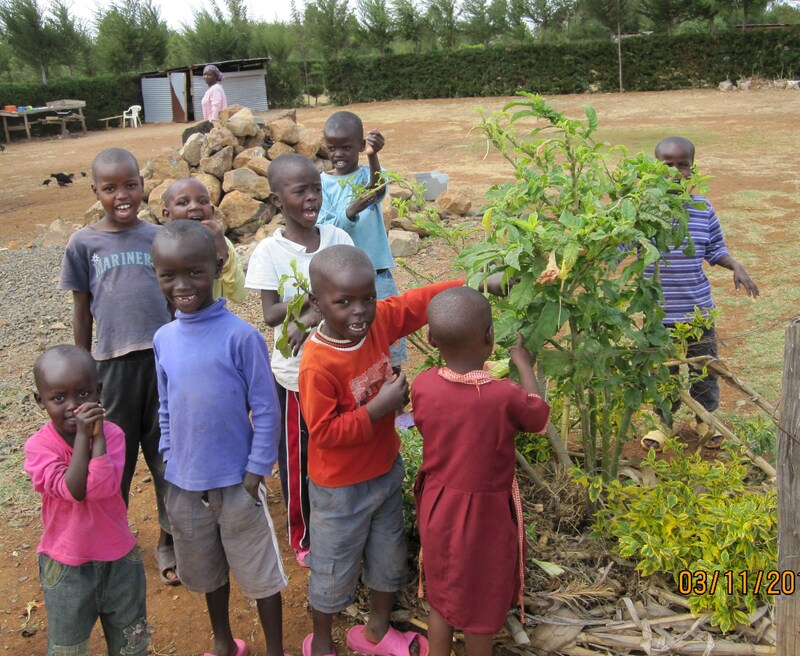 The seedlings have been growing in a greenhouse and were just planted out in the fresh air. In addition to all this, the school is getting its own climbing wall! They say it is the first of its kind in Kenya. The wall is being built by Wesley Eom, from Korea. 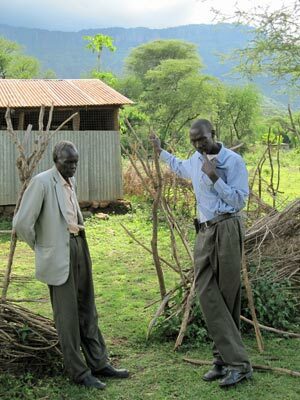 Wesley and his friend Apollos Shim have been here for over a month, helping the ministry and working in the Kerio Valley. These Korean brothers are gentle, godly and humble, and have added so much to SILA. Wesley was diagnosed with rheumatoid arthritis years ago, but he has made it a point to exercise every day since his diagnosis; running, stretching, rock climbing, and hiking in the Alps and Himalayas. He is a walking miracle, defying all expectations from his doctors. Of course, he is a great advocate for daily exercise and it was his idea to build the kids a climbing wall. It should be done soon and I will post pictures. 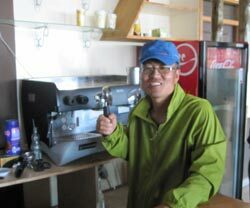 Wesley is involved in many global trading businesses, including coffee. He can often tell just by tasting a bean, where it was grown. Apollos is an incredible musician and technological genius. 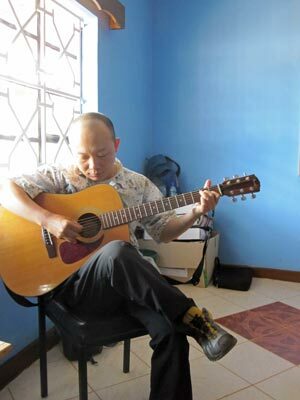 He can make my guitar say a lot more than just “thumpa thumpa.” These men, along with business partners back in Korea have invested much into SILA, helping it to provide the finances to build it from the ground up. 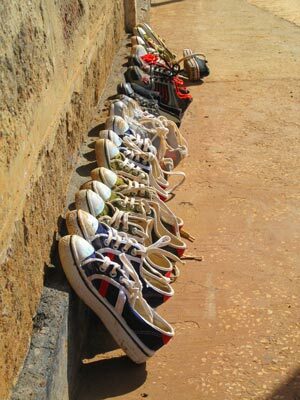 In addition to all this, we also have a huge closet full of clothing and shoes donated from Korea, to be distributed at Kakuma refugee camp and elsewhere. On slower days, I muddle through the boxes in that room and sort out the clothes for upcoming distribution. EERC has only been open for one year and has already accomplished so much. Every area of the school is still growing and being developed. In the days ahead, EERC is expecting the shipment of 2 pianos. Pianos, like any other musical instrument, are scarce as hen’s teeth ‘round these parts. I am excited for the kids and look forward to seeing how their Arts Department continues to develop, as well as every other area of the school. For all my friends and family who might be thinking about coming over here and helping out sometime—I can assure you that you would have something to give here, and you will be a great blessing. Amen and amen! 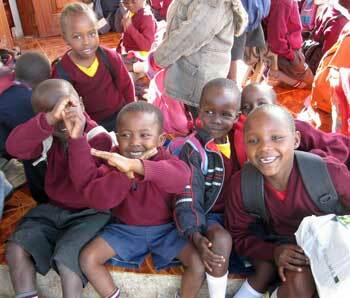 I only wish that there were more schools/ministries around the world that operated like this one.